Just about every time at practice for the past few weeks, Paulie has mentioned something about Fear and Loathing in Las Vegas, that he'd just recently bought on dvd, telling me how great it was and asking if I'd seen it yet. I'd never even heard about it, but it sounded interesting to say the least from his descriptions and few assorted re-enactments. Its theatrical release must have slipped past way back in ninety-eight. I was only sixteen back then, still innocent to the world (hahaha) and wouldn't have been let into the cinema anyway to see such a film. Anyway, the other day I was being bothered a bit by the terribly loud, and rather peculiar sounds, creeping in from the other room. I managed to make out a few lines of dialogue, strange as it sounded; oddly familiar, but couldn't for the life of me place it. 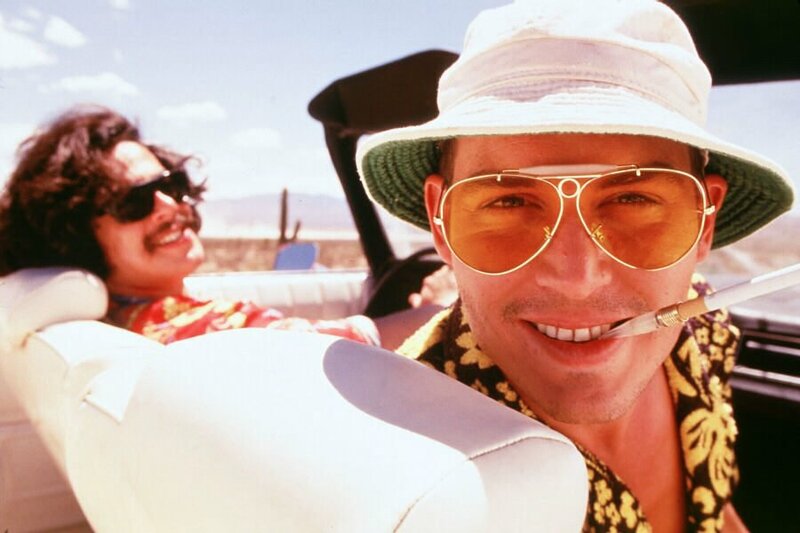 You'd never believe it; turns out they were actually watching Fear and Loathing in Las Vegas, the sound up high in order to make out a touch more of Johnny Depp's cigarette holder muffled mumbles. So what was once a heralded 1971 feature in Rolling Stone from the height of American drug culture, was then unfolding as some strange, eccentric reptile zoo on the screen not quite like anything I'd seen before. I'd love to read the original story, if I can find it somewhere - perhaps one day discover the true substance of the film.